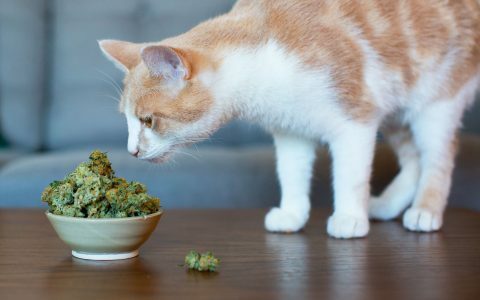 Can Pets Get High Off Secondhand Cannabis Smoke? If you’ve ever wondered if your pets can get high, the answer is yes, but they don’t like it and it’s not good for them. While massive strides have been made recently when it comes to understanding our animal friends, their inability to self-report makes it impossible to ever know what’s actually going on in their heads. But what we do know is that the effects of THC on dogs, cats and other creatures we keep as pets, does more to disorient and disturb them than it does to calm them. The key thing to remember is that they don’t know what’s happening to them and the effects can be very frightening. While nobody, we certainly hope, is hotboxing Fido these days, it is true that pets—which often have more sophisticated and sensitive olfactory systems than our own—can be affected by the cannabis their owners use. In fact, dogs have far more cannabinoid receptors than humans and pets in general usually weigh much less than us, so intoxication can happen with even very small amounts of THC. 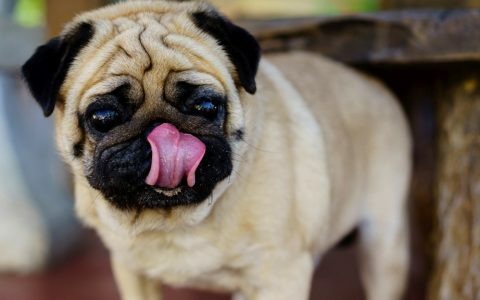 Most cases of pet intoxication come from curious animals finding edibles or flowers and ingesting them. That means an automatic trip to the vet. Don’t be shy about reporting what happened. Second-hand smoke, of course, is also a problem; but so is what’s known as third-hand smoke, which is defined as smoke that has penetrated household surfaces like furniture and clothes. Cats and certain breeds of short-snouted dogs are particularly sensitive to third-hand smoke. Vaporizers can take away some of the hazards associated with smoking, but the active ingredients in cannabis can still affect pets. Symptoms of THC intoxication in pets include disorientation, lack of coordination, drooling, excess urination, vomiting, reduced heart rate, hyperactivity and pupil dilation. A trip to the vet will usually result in an IV to replace fluids, anti-nauseants to prevent vomiting and activated charcoal to clean the digestive system. The important thing for recovery is that the pet be kept in a safe, ideally welcoming, place. Just as animals don’t know how they got high, they also don’t know that it will ever end, so comforting them until it passes is necessary. He also points out that while the placebo effect doesn’t work on dogs, it can work on their owners. Watson told me about a couple who had a puppy who was mouthing (frequent biting without aggression) excessively and they treated the young dog with CBD oil. When the mouthing stopped, they attributed it to the oil, although many other factors in the dog’s life changed at the same time. 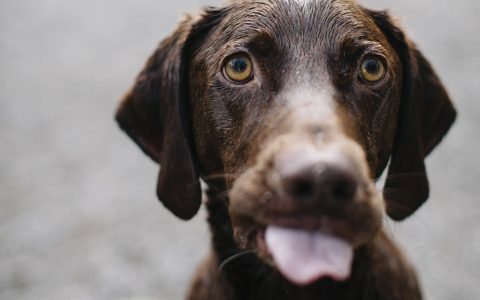 One of the owners secretly stopped the CBD treatment and, when the dog continued to improve, revealed it to his partner who agreed that the CBD had not been helping. While there’s not much evidence that CBD oil is bad for pets, there’s just as little that it’s good for them. It would be wise to consult with a vet before undertaking any such course of treatment. To prevent pets from being affected by human cannabis use, it’s smart to contain smoking or vaping to a single, well-ventilated room, ideally one that pets don’t frequent. Steam-cleaning upholstered furniture and rugs can help, as can keeping your pets groomed properly. 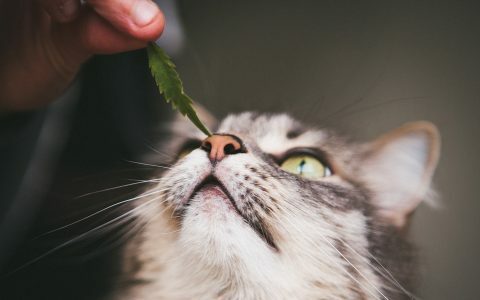 But the most important thing a good pet owner can do is to make sure all of their cannabis products are securely out of the reach of any curious pets. I read this article in its entirety. Then I read it again. 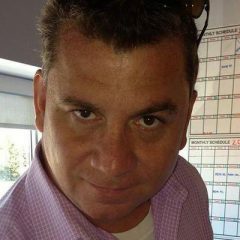 There is an enormous amount of speculation as well as assertions that sometimes contradicts previously mentioned assertions. Also, in this day and age where there is so much false information out there, stating scientific facts requires, no demands, insists, on providing sources for stated comments. Providing sources would, at least, alleviate the author and Leafly from these things. Overall, in my view, this writing is very lazy. I’m hesitant to continue to trust Leafly as a reliable source if this is the kind of reporting Leafly endorses. You can do so much better, and you audience deserves it. I agree. 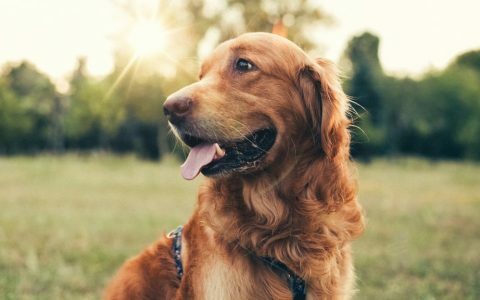 CBD has been proven to be beneficial to dogs. No, not sparkin’ up a J but true CBD oil- no THC. Leafly- check the resumes on your writers- this article is pure fluff. Sorry, I posted a reply accidentally so I deleted it here and reposted as a separate comment. It’s a decent editorial piece. Most educated professionals in the medical field are taught to speak to patients at a third grade level. That being said, I feel the author has accomplished this. Yes, if there are not multiple published and credible studies, pet owners should be wary of new treatments and approach new products as “experimental” and untested. However, I would personally like to see some source notation. The author specifically mentions one “study” with a mouthy puppy, yet doesn’t site it. (A link would be excellent and extremely helpful to readers.) The author portrays there being few credible studies leaning one way or the other. Few meaning there are in fact credible studies published on both sides of these issues. Why not site and link the studies the author found to be credible. One for each side at a minimum. Without these sources being cited, this nice summary piece becomes nothing more than some guys opinion and isn’t doing Leafly readers any good. I must agree with a previous comment that these types of pieces actually discredit Leafly because partial information based on opinions does not help readers. It only adds to the problem of too much information whereas the reader becomes confused by conflicting information and half stories. I read it once, but was just as disappointed. The quality of their writing continues to decline. I actually unsubbed from the email list today. I’ve always thought it cruel to blow smoke in a pet’s face. 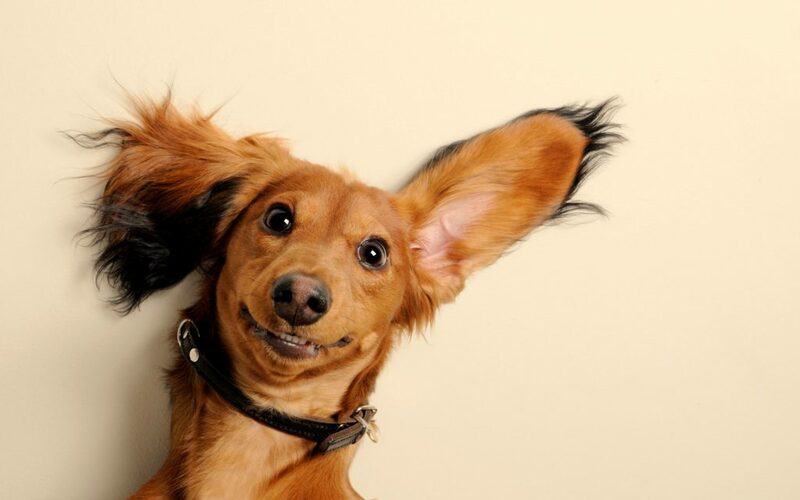 Many think it’s funny or cute-I’m not one of them. I humbly disagree. Animals, too, know what they like/enjoy and what they do not enjoy. If an animal intentionally comes into my personal space knowing that I have a lung full of smoke and waits for what I am exhaling in order to bask and relish in that smoke, to me that indicates that the animal is cognizant of the sensation that the second hand smoke is causing and further enjoys that sensation(or the animal would avoid the exhaled smoke. It is called approach/avoidance !). its totally megalomaniac to think that cats or dogs can make logic thinking that inhaled smoke causes this or that sensation…for this its just not close enough by time and pets primilary act about the smell……so maybe they like or hate your smoke but surely are not able to understand what happens with it in their body or brains. 80% of all cigarette-smokers dont know what they are doing, they just dont know how bad it is and what can be the result (if they would they just wouldn´t smoke! ), so please dont think pets can do that. My friend has a cat that would jump into a box we set on the floor then we would close it and blow our hits into box through a tube then open box that cat would be purring crashed out. As soon as he woke up he would go eat hella cat food. He would jump in box every time. My vet approved of me giving my flighty dog CBD after we got her off of Prozac. She has more energy than she had on the SSRI and is calm and relaxed. My dog will furtively seek out any cannabis he can find on the floor. The first time he did that he had found something on the floor with resin on it and he licked at it, apparently, and he was indeed disoriented and seemingly paranoid. BUT, to say he didnt like it is a lie. He will go hunting and if he doesn’t find anything, he will ACTIVELY ASK for some. My other dog doesn’t care for it much BUT, when she hurt her back once, she also asked for it. They ask by pawing or licking me (2 quick licks on my arm or hand indicate they want something) and then looking directly at the source of what they want. They are very communicative and know how to ask for specific, and sometimes complex, things such as a specific game they like to play or a certain treat or toy they might be missing. So, I think testing of CBD can be done in regard to dogs if the people testing are knowledgeable about how dogs communicate. Sorry, I got away from the point. Lots of animals in nature, in the wild, seek out cannabis to soothe or medicate themselves. Dogs are no different. I should point out that the first time my little guy went searching and found something, he was very disoriented but breathing was fine, no drooling, no vomiting. He is an 8 pound chihuahua. He was fine in a few hours. I’m sharing this story because I don’t want people to panic if their dog ingests some THC. Secondhand smoke acts quite differently, as it does for humans. It may cause sleepiness but there are no other symptoms of anything at all from secondhand smoke. These are my observations based on time spent with my dogs present in the room over the last 4 years while smoking was taking place and the few times my boy found some goodies buried in the carpet. He is a normal, happy, healthy dog in every way and he is no different now than before I discovered cannabis. We don’t deliberately give them anything, so please save the criticisms. but you know that the author means especially THC and not CBD. I hope u also know that fresh weed have no high-making effect as it is not decarboxilated and so CBD and THC are only in their non-psychoactive acid-forms in nature. Maybe the just like the taste or just eat it because its eatable and so its food. To think a dog knows what material has what effect on his pains is really existing only in your mind or you have the first dog who can do that. If this would be possible we would have much more success in the vet-system. by science dogs and cats can not make such conclusions for sure as their brains just have not enough brain-cells…..or would you think your dog is more clever than for example a 4 year old children which have multiple times of braincells and can not make such conclusions? My cat does the same! Whenever my brother vapes, my cat RUNS to him to bask in his exhalation! So… You don’t know what the f@ck you are talking about and are just pushing what you think is correct behavior. A Friend Said His Dog Would Always come close to Him When He Smokes a Joint Not Move away. I Have Seen People Blowing Smoke into Animals Faces that is Not Cool the Animals are not Toys they have rights. i am shocked about the bad behaviour and the agressive comments to this article and asked myself why stoners can be so hateful or just to stupid to understand. The article is surely not very scientific (it can not due to lack of science in this field)…..but from any logic its clear that animals dont like to loose orientation and control…it will naturally and logically cause anxiety and paranoia, so its not good for them for sure in the long term. If someone says the pet like it because the pet repeats an action which causes intoxication this person have no knowledge about animal-behaviour or animal-studies. Rats also consume nicotine, cocain or heroin to themselfs…..but do they like it or is it good to them??? Surely not, the brain is much more simple and reward-obsessed, so they will return some behaviours! Even humans do same things again and again because the brain is programmed to repeat, even if people dont like things….the subconscious is ruling about 80% of all behaviour and this is just for humans and that is the point addicted people can not stop even if they know its all negative and they destroy life with consuming alcohol or crack or whatever…they just have no control. 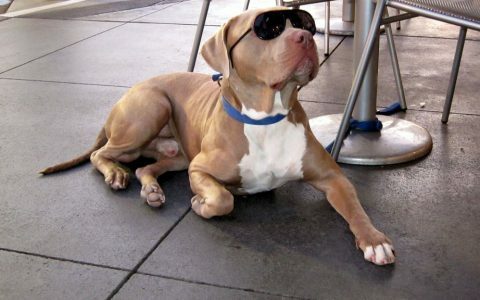 So people believing they know what their animals think are just megalomaniac and should educate themselfes! My cat Maxie just loved a bit of cannabis smoke. When painting and I had puff, he would climb up the little ladder next to me and hold his head out waiting for me to gently blow a bit to him, and it was clear he really enjoyed it, then prancing around with his tail playfully curved up, very happy. He also really like catnip, which I would rub on a certain rock in the garden and he would rub up on it and do the same thing after. Maybe our pets are somewhat like people about this..some go well with it and others do not. This article seems naive and biased without really considering this. I did the same to my pupper as a teen. After that, he’d actively seek it out when we were smoking. If the door was closed, he’d scratch at the door to be let in, and would clearly be “asking” for us to exhale at him. He’d get right in your face while you were taking a hit. I’d never “force” it upon a pet now that I’ve matured into an adult, but to say “they don’t like it” as they did in the article is clearly an overgeneralization. My pet became a total session buddy, and clearly enjoyed getting high with us. He’d get very playful for a while, and then wander off to a comfortable spot to “zone out” for a while. The bottom line is that pets are probably as individual as people are regarding cannabis. I definitely wouldn’t advocate for hotboxing your pet, since that takes away from consent. However, if your pet experiences a “second hand” high, and comes and asks for more (you know your pet … make sensible judgements), then I’d say there’s nothing wrong with sharing with an active participant.